The European Club Association is to seek reform of the Champions League, according to the London Times. The group represents 20 of Europe's top clubs, and they are looking for any reforms to come in in the next decade, most likely 2024. 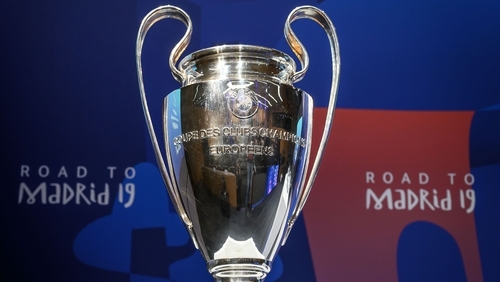 The initial make-up of the competition could be decided by factors including European record over the previous four seasons, and number of European trophies won in the past. The ECA has proposed four groups of eight clubs, whereby the top six at the end of each season automatically qualifies for the following season's competition. This would leave just eight qualifying positions available for all the remaining clubs on the continent, leading to accusations that the elite clubs are looking for a "closed shop" when it comes to Europe. Clubs who currently qualify for the Champions League are guaranteed at least six games in the competition. This would increase to eight under the proposals, and it would put extra pressure on an already tight fixture list. The move is seen as a means of appeasing the likes of Paris St Germain and Juventus, who have dominated their respective domestic leagues, and have seen revenue streams fall as a result. UEFA will not take a position on any change to Europe's premier club competition until meetings with both clubs and national associations, which are due next month, have taken place.